8 Eating nowhere Fancy the next day. 9.1 There’s a very specific system or ordering and paying – Pay Attention. 11 Don’t forget the pickles! 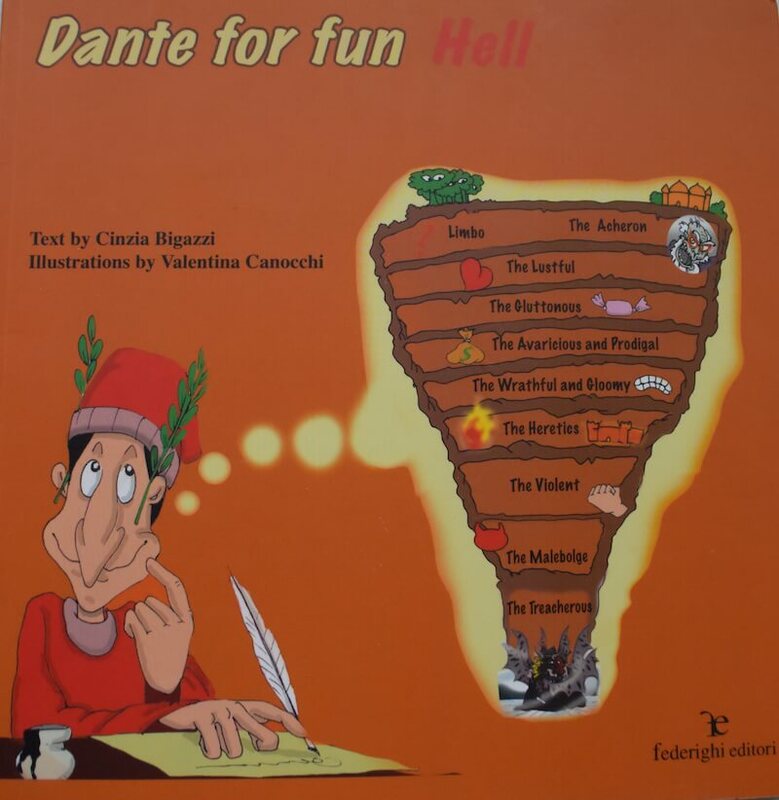 The Inferno is so popular that even my 10 year old Godson chose to read it over the other 2 books by Dante.
. So I guess in some way, New York is a lot like Inferno when it comes to it’s characters. If you’ve ever been to the Times Square Subway Station during the rush hour, you’d know that it may possibly be the most congested subway station in the world. It seems that every subway line in the City crosses this intersection. It’s usually hot, smelly, dirty, and people are usually not at their best behavior as they rush to catch their trains to get to work or home. On a cold Friday night, underground, Brenda, Bailey and I were rushing to catch our train, but for the first time in a long while, decided to relax, and catch the next train. We stopped our light jog and caught our breath. There was something intoxicating in the air that night, and I don’t mean literally. The intoxicating air was brought to us by, what I like to call, the true “Performing Artists” of New York. They really shouldn’t have to be there, because most of them deserve a better forum than the subway stations, but they really don’t have anywhere else to showcase their talents due to the cold weather we were experiencing, so the subway stations it had to be. They were akin to the virtuous sinners in the first circle of hell, a.k.a., Limbo (in Dante’s Inferno, the first circle was made up of the unbaptized and virtuous pagans, who technically didn’t do anything bad, but were not believers, per se). So even though they really didn’t belong there, they had no choice. The tenor wore a tee shirt, gray, and a little tattered. There was a speaker behind him which was playing instrumental music to famous arias. The sound of the music caught people’s attention and all of a sudden there was a circle forming around him. He looked to be a bit intimidated by our, and the presence of others who have also decided to take a break from the rush. He was joined by a soprano, a rotund woman, who seemed to have been in costume, or so one would hope. They may have looked a bit battered, but as they started to sing above the constant track noise of the A,C,E subway lines, their courage and beautiful voices brought me to tears. In reality, they were only twenty blocks south of the Metropolitan Opera House, but figuratively miles away. On that night however, at least to me, Puccini never sounded better. , I noticed that Bailey was more moved by her performance than she was when I brought her to see the Nutcracker at the State Theatre in Lincoln Center. The performers sang, danced, played and drummed at their best and loudest, trying to keep up with the beat of the city. A beat that has many speeds, usually fast, and hardly ever stops. These are some of the great characters that make up the storybook that is New York. Eating nowhere Fancy the next day. The next day, Brenda asked me where I wanted to eat lunch. After having had the experience from the night before, I was moved to eat nowhere fancy, and needed to be around more characters and have “salt of the earth” kind of food. 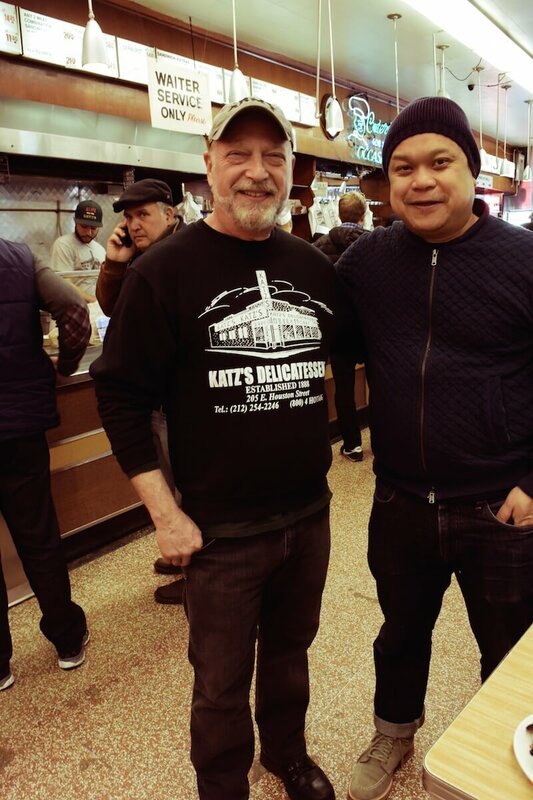 I’m a Lower East Side boy, and to me no other eatery mirrors my neighborhood more than Katz’s Deli. So off we went. is located in the now trendy and still grungy Lower East Side corner of Ludlow and Houston Streets. It’s been there for over a 125 years. Look around, and you can’t help but be brought back to the early years of when the Jewish and Italian immigrants came to make a life for themselves in America. It was the worst of conditions then, and though things have changed, more hipster than orthodox, and conditions have gotten better and rents a lot higher, there is still a grit about the neighborhood that can’t ever be taken away. There’s a very specific system or ordering and paying – Pay Attention. 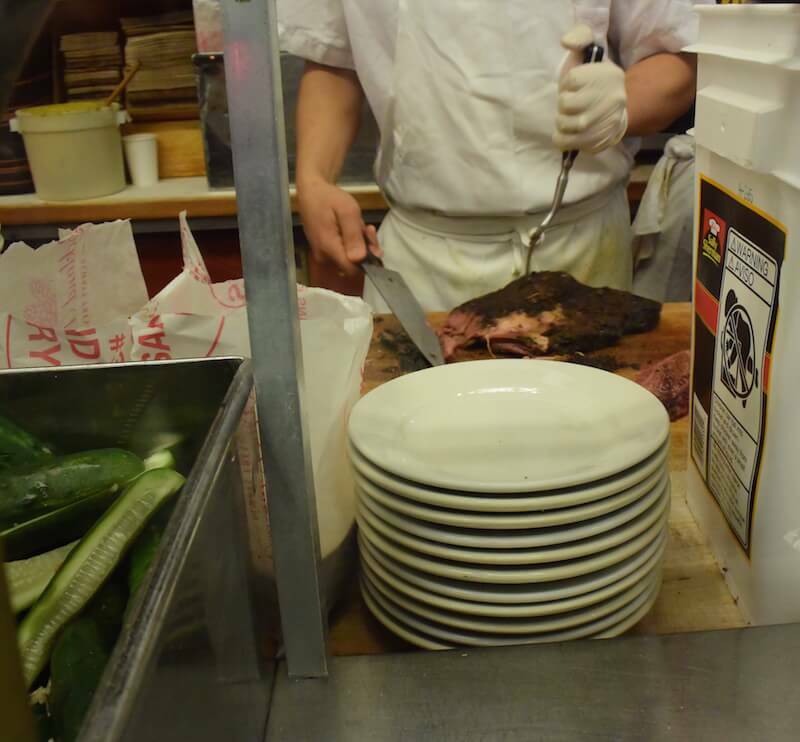 In part, Katz’s has a lot to do with keeping a bit of that grit about the neighborhood. They’ve kept their original facade without much upkeep and aren’t apologetic about their antiquated ways. Take this system as an example. Upon entering, every individual must take a ticket. This ticket is then used to present to the guys behind the cutting board stations, and after taking your order, they scribble down the cost of your order. These tickets, whether or not they were used, needs to be turned in at the cashier station before exiting. Anyone without a ticket is subject to $50 fee. So don’t lose your ticket. Katz’s is another one of those eating institutions that are no fuss, no nonsense. No white table cloths here. Just fun loving people, and great Jewish ghetto delicacies. I opted for the corned beef on rye. I asked for the fatty side of the cut, and the young latino man behind the cutting station obliged me with a sandwich a good 4-6 inches thick. I thanked him, knowing that I got a good serving. He gave me a quick nod back. Brenda ordered her standard, half pastrami and matzo ball soup. Before slicing her pastrami order, he put a few pieces of pastrami on a plate for her to try as to make sure that the meat was up to her standard. This time, it was Brenda that nodded, and he said, thank you. As if her approval was of great importance to him. Before marking our ticket, he sliced a few pickles for us and put it on a plate and set it on our tray. I quickly took the tray to a table that just emptied. We could hardly sit down before we devoured our sandwiches. The meats simply melt in your mouth. The mustard is just the right amount of spicy and the rye, soft. While eating, one of the owners, Alan Dell, came up to us and we had a little chat about the changes in the neighborhood, which was a sensitive subject, so I quickly moved the conversation to our upcoming trip, which made his eyes light up. He gave us a few minutes of his time to talk to us, ironically, about the great changes that has happened in South East Asia from whence he traveled there in the 60’s. We shook hands, and he bidded us a nice rest of our day and to have a great trip. This kind of greeting may be an anachronism at most eating establishments around the world, but in this busy city, it seems to happen every day, everywhere. The streets we walked on as we wandered home from Katz’s was certainly not paved in gold, and that’s fine by us. If anyone would like to lift some stone, and go underground one day, what they’ll find is a city made up of virtuous people giving their skin and bone to make it great. A city filled with, courageous singers, inspirational dancers, people who like to give you their time, food that comforts, and, of course, soul. Travel TIP: Right before leaving on our Long-Term travels, we decided to treat ourselves to a few staycations in NYC because we had been staying at Brenda’s parents’ house for 6 months, in NJ. There were nights that we were just too tired to trek our way home. The hotel we enjoyed the most was the Grand Hyatt in Midtown, which is so close to everything and conveniently located next to Grand Central. Love this post. Seems like it sums up NYC pretty well. I can’t think of anywhere I’d rather eat in New York than a good deli and that says a lot. Also the characters you find on the street are the people who really make up the city. Thanks for sharing. Thank you for reading the story; glad you enjoyed the characters in it. And yes, nothing like a good New York Deli. 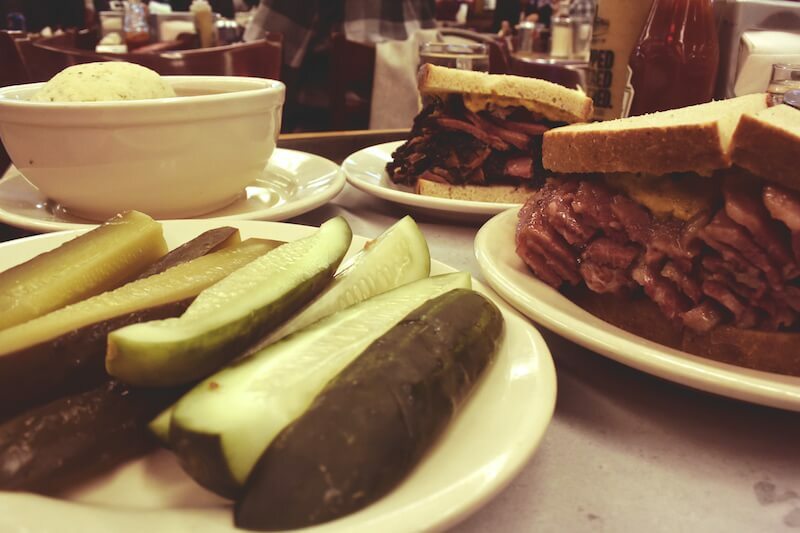 There may be no better sandwich combo than corned beef and rye and Katz’s is heaven for any sandwich lover. Looks delicious! Would love to try this spot one day!! New York. Interesting place, interesting people. Despite all the hustle and bustle if you stop you will be amazed at what you see. Oh the food from Katz’s looks amazing. They have to be doing something right to be in business for so long. Okay, you just made my salivary glands go into overdrive! I think Katz’s is the deli we ate at when we visited NYC in 1993. Your pictures and description fit it to a T.
I’m a Lower East Side gal myself! Love Katz’s Deli! I was lucky to live just a few blocks from it during my year in New York.